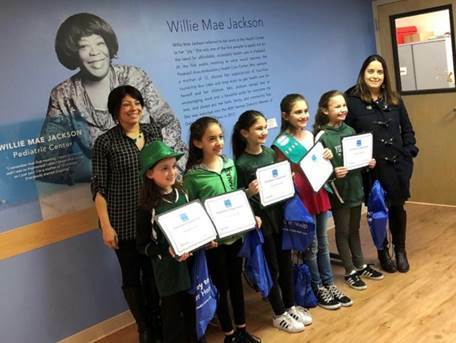 On March 16th, the Hudson River HealthCare Pediatric staff came together to thank Girl Scout Troop 1386 lead by Melissa Bidlack, which held a book drive at the Crompond Elementary School. Currently, Reach Out and Read can be found in 22 of HHRHCare locations. In a little over a week, the Girl Scout Troop collected 2,000 books and earned their Journey Badge! The troop is proud of their hard work and HRHcare and Reach Out and Read of Greater New York are grateful for the contribution to the community.